Well, finishing my master program also means that it's time to leave Singapore. I love this country so much. I've been here for more than 4 years and it's really really hard for me to say goodbye. Actually, I was supposed to leave Singapore last year as I finished my bachelor degree already, but then I decided to extend it by taking Master degree. But this time I really have to go back (I'm not looking for job here because my Dad wants all his children to be in Indonesia). Seriously, I don't want to leave this lovely country, but then I think to myself, hey, it's time to move on. Have you been in a moment of life that really comforts you and you just want to be there? Maybe you love your high school life and you don't want to go to uni because you just want to be together with your high school friends and you're afraid of things to change. Maybe you love something so much, you keep it hard and don't want to let go because you're too afraid you will lose it and things will get worse. It can be someone you love, your job, your status, your career. It can be anything. The thing is, there are always stages of life. You shouldn't always get stuck at the same stage. If life was a book, you couldn't always be on the same page all the time, even when that's your favorite page of the book. Keep moving on and making progress. That's just life. It keeps changing. You can't always be at the same place. There's a time for beginning. There's a time for ending. 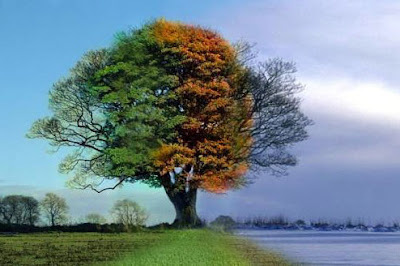 It has its seasons. Everything has its season. When one season comes, enjoy it. When it ends, let go and get ready for another one. Thats right Wilz...! Congrats! May the Lord order your footsteps. I follow your blog. "Maybe you love your high school life and you don't want to go to uni because you just want to be together with your high school friends and you're afraid of things to change. "